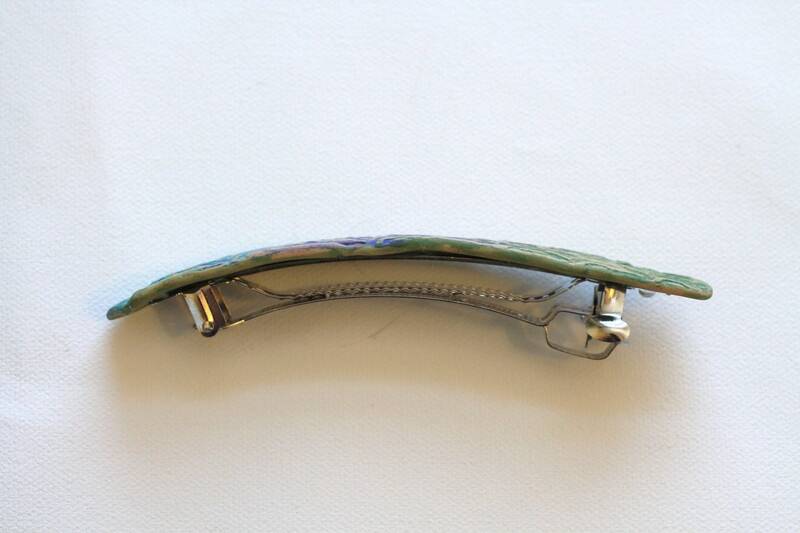 This is an Organic Style handmade hair clip/barrette. 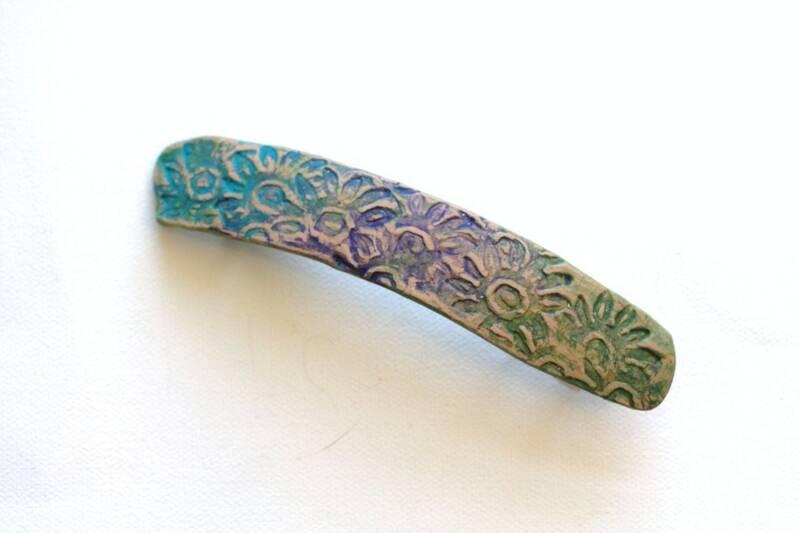 I make my clips from porcelain clay, that is carved, stamped and molded by hand to create a unique hair clip. The clay is baked and cured, and then layers of acrylic paints are brushed, rubbed and sponged to achieve a multi-dimensional effect. 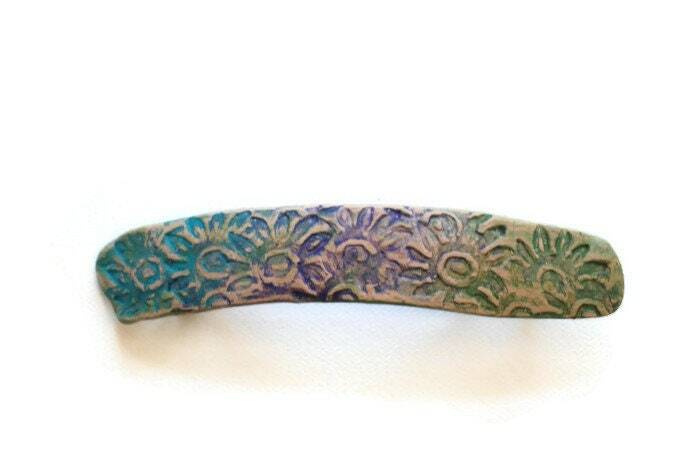 The colors are soft turquoise, olivene and purple over a natural color base.